Through a newly published online guide, the Avery Architectural & Fine Arts Library of Columbia University is offering a new way to research Frank Lloyd Wright materials. Here, the Avery’s archivist of drawings and archives, Shelley Hayreh, explains the benefits of the guide and some helpful tips for researchers. What is the purpose of the new guide? 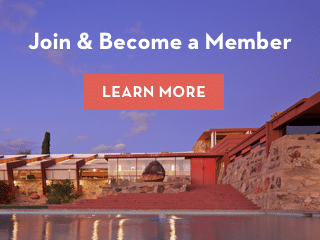 Shelley Hayreh: Use the Guide to Frank Lloyd Wright at Avery to find all the information you need to begin research in the Frank Lloyd Wright Foundation Archives (Foundation Archives), as well as Avery’s other holdings on Wright. Among other things, visit our site for guidance on how to book an appointment, see if we have drawings for your Wright house, or to keep abreast of newly released finding aids and resources. In addition to providing general guidance to researchers, we hope the Guide will reveal the depth and diversity of materials in this substantial and historically significant archive. While Wright’s original drawings are, of course, a critical part of the archive, there is much more to be discovered. A great example is the Guggenheim Museum. A researcher can find materials on the project in almost every collection represented in the Foundation Archives, including 774 architectural drawings, 861 photographs, 1,737 letters, 1,783 pages of specifications, and 25 manuscript drafts. Item after item, the complicated and brilliant figure of Frank Lloyd Wright emerges. Perhaps it is because the archive is so comprehensive, but you cannot walk away from the archive without feeling like you have just met Frank Lloyd Wright. At Avery, our mission is to assist new explorations into Wright’s life and work and to support research that continues to advance the scholarship and discourse on Wright for generations to come. How will the Guide make research easier? SH: The purpose of our Guide to Frank Lloyd Wright at Avery is to make the archives more accessible to every type of researcher, whether you are a student, homeowner, journalist, or scholar. For the first time, collection descriptions and finding aids for the Foundation Archives are centralized in one location (“Collections” page), making the research processes more straightforward for anyone interested in learning more about Wright. Instead of asking us what is in the archive, now researchers can review collection inventories directly to identify materials most relevant to their research. While the majority of the Foundation Archives is catalogued and open to researchers in our reading room, there are still some collections, such as the Oral Histories and Film Reels, currently undergoing archival processing. As we continue to create finding aids for the remaining portions of the collections, we will update this page with any newly available resources. I’m ready to begin researching, what should I expect to find in the guide? SH: The Guide is divided into five sections. Visit our “About” section to learn more about Avery Library’s history of collecting Frank Lloyd Wright publications, drawings and papers. You can also find an overview of the publications and exhibitions produced since the Foundation Archives moved to New York. The “Collections” page is the most exciting new resource for the Wright research community. This page lists and describes all the collections forming the Foundation Archives, including the collections currently open for research and the collections in process. Beyond a short description of each collection making up this massive archive, the page also provides links to the associated finding aids for each collection currently open for research. Finding aids are collection guides or descriptive documents created by archivists that detail the contents and arrangement of a collection. Current Wright collections with finding aids available online include the Architectural Drawings, Exhibition Files, Fellowship Talk Transcripts, Manuscripts, and Specifications. This page also includes a list of additional Frank Lloyd Wright and Wright-related archival holdings housed at Avery. View our “Consultation” page to find out how to begin your research and make an appointment. View our “Services” page for a guide to the special collections services we provide, such as digital imaging and exhibition loans. And finally, our “Research Guide” provides researchers with an overview of how to conduct research more broadly on Frank Lloyd Wright and his collaborators.